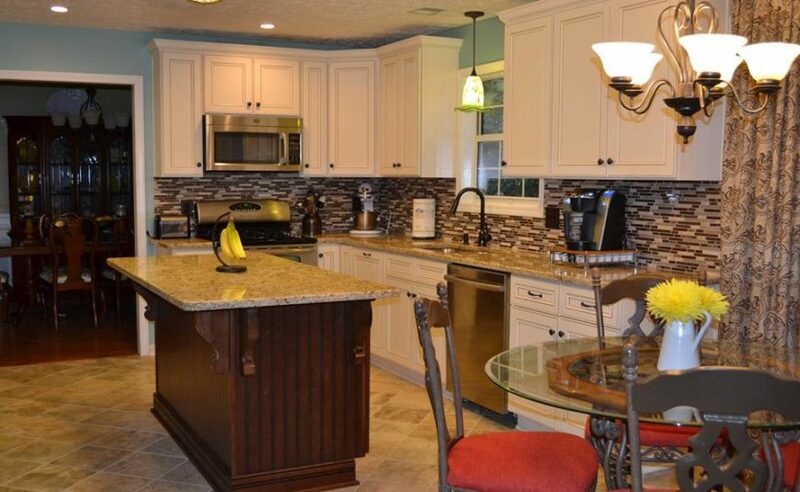 $12,000 Kitchen remodel with fully-customized cabinet and granite countertop installation. $11,200 Custom pull-out double 50-qt trash and spice rack cabinets. With custom granite installation. 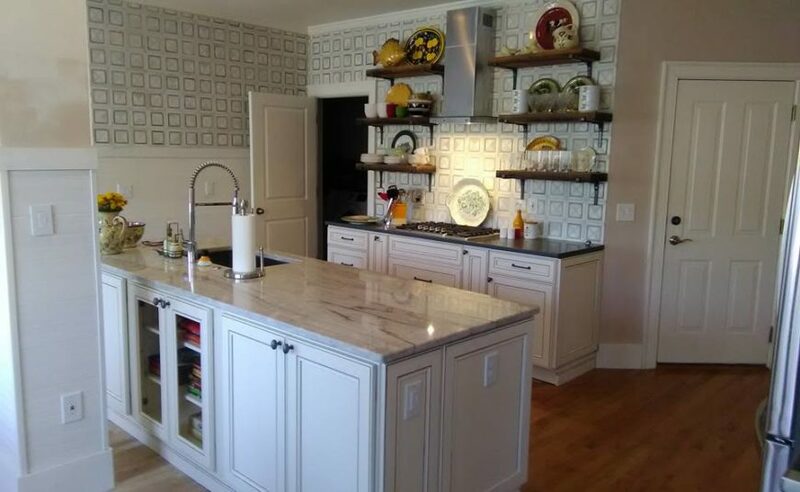 $11,000 Charleston White cabinetry with a Charleston Chestnut island. Santa Cecelia countertops included. $25,000 This semi custom kitchen uses Kith Cabinetry. 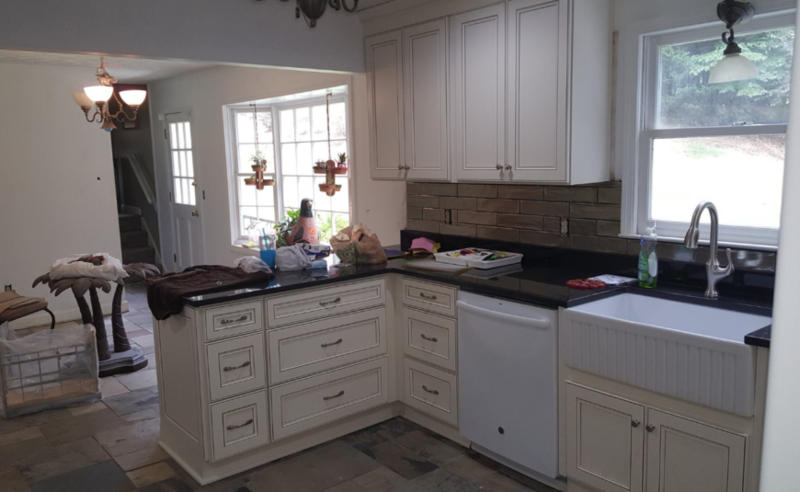 The cabinets are Alibaster White and the island is a distressed Gray. The counter tops are a mix of level 3 granite and quartz. Total cost was $25000 installed with granite/quartz. 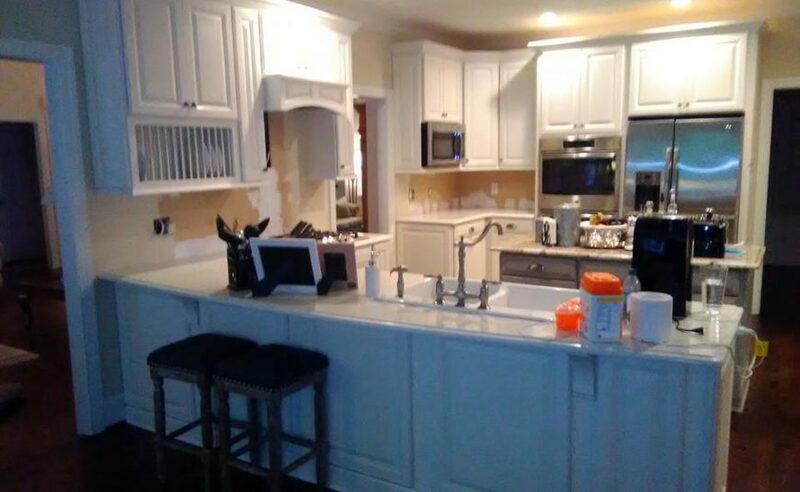 Done in White, GA.
$17,500 The kitchen in Charleston White we just finished recently in Canton Georgia. Installation with granite.